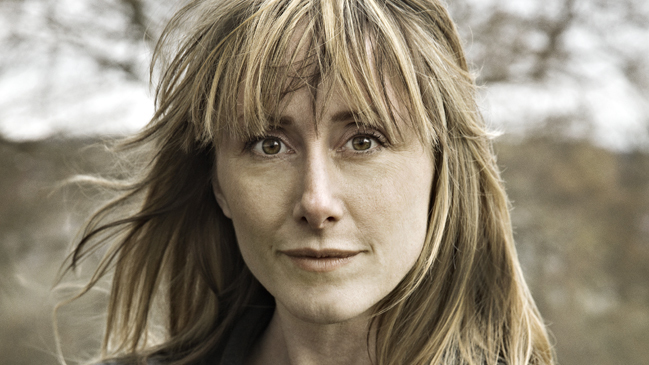 Producer Eva Jakobsen has a weakness for films that are set in unique worlds. A résumé including Ask Hasselbalch's Antboy and Mads Brügger's The Ambassador testifies to the range of the never risk-adverse producer's work. “I couldn’t have made The Ambassador without Eva. She is one of the most organised and brave people I ever met, and I’m delighted that she was willing to go along with me on that extreme project,” Mads Brügger says about Eva Jakobsen. As an interpreter and production manager on Brügger’s 2011 documentary, Eva Jakobsen and the director pulled off a precarious balancing act in their exposé of corruption in the conflict-torn Central African Republic. “Passion, empathy, common sense, resilience” are some of Jakobsen’s own suggestions for traits that any producer should possess and develop. Since 2008, she has been working at Nimbus Film, where she was assistant producer on Nicolas Winding Refn’s 2009 Viking drama Valhalla Rising and recently produced her first feature, Ask Hasselbalch’s 2013 superhero movie Antboy, which will be followed by a sequel, Antboy II, to be released in December. “As I see it, a willingness to take risks is fundamental to being a producer,” says 37-year-old Eva Jakobsen, who likes to work with directors who use a characteristic cinematic language. “I’m working on several projects that are specifically imprinted by their locations. That’s the case with Antboy II, where we are integrating locations from Hamburg with locations from Denmark to create our singular cityscape and universe, our version of Gotham City on an Antboy scale. It fuels creativity. “I think it’s interesting to push and expand the concept of realism in Danish cinema,” the producer says. Jakobsen trained at Zentropa, where one of her first functions was assistant producer of Lars von Trier’s experimental comedy The Boss of It All (2006). Back in 2004, when she first started at the company as a “midget” – as Zentropa calls its trainees – she had no idea what a producer does. “I had just graduated with a bachelor’s in film and media studies, and all I knew was that I was a lot more attracted to making films than studying them. “My training period gave me a window into what a producer’s job consists of, and I got the opportunity to establish a network and work in the industry. A string of the first shorts I produced were made with support from the Danish Film Institute’s Film Workshop for young filmmakers. That was my point of entry and my ‘film school,'” Jakobsen says. 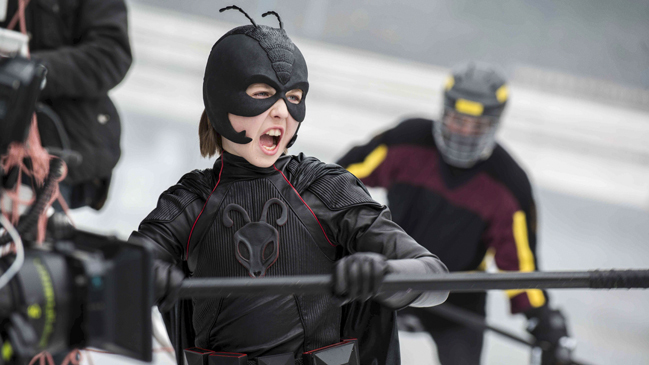 Now, a decade after she started at Zentropa, Jakobsen is producing her first international co-production, Antboy II, a collaboration between Nimbus Film and JunaFilm of Germany. “It’s inspiring and challenging to work outside of Denmark. For me, co-production is an opportunity to strengthen the projects creatively in collaboration with other traditions and cultures. It also provides an extra platform to profile Denmark’s own talent pool and film culture,” says Jakobsen, who considers the Danish film tradition to be anchored in the ability to develop powerful, original stories. Asked about the single greatest victory in her career to date, Jakobsen says small victories are often experienced as big ones. Producer Eva Jakobsen, born 1977, holds a BA in film and media studies from the University of Copenhagen. Jakobsen worked at Zentropa from 2004-2007 and joined Nimbus Film in 2008. Jakobsen served as assistant producer on Lars von Trier’s The Boss of It All (2006), Omar Shargawi’s Go With Peace Jamil (2008) and Nicolas Winding Refn’s Valhalla Rising (2009), and she contributed to Mads Brügger’s documentary The Ambassador (2011) as production manager and interpreter. Titles at Nimbus Film include her first feature as producer, Antboy (2013), which world premiered at the Toronto Film Festival, and Antboy II, out in December.